I realize I’ve taken better pictures, in terms of quality, but I thought you’d like to see what my daughter wanted to do at the hospital today when we were visiting Norah. 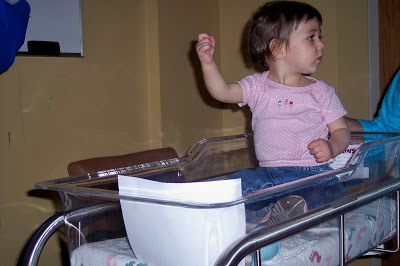 Yep, she wanted to be in the plastic bassinet thing. I guess it brought back memories!